On Timothy’s Bridge Road in Stratford-upon-Avon stands an unremarkable corrugated grey building. It could be an industrial warehouse or a mail depot, were it not for the letters ‘RSC’ stamped above the entrance. 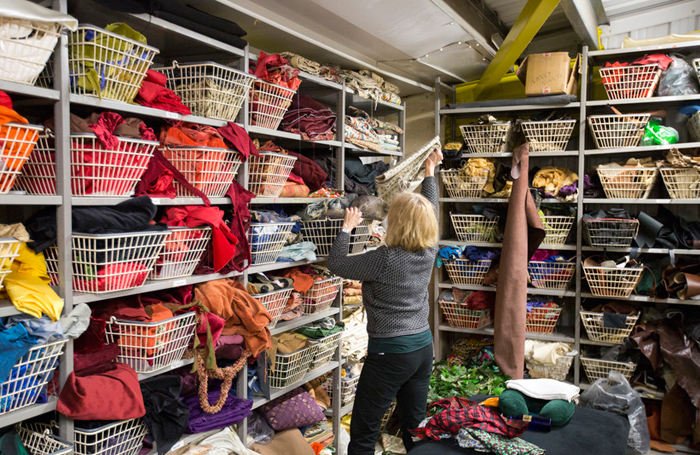 Inside, the building that houses the Royal Shakespeare Company’s props workshop and costumes store is anything but unremarkable. There is a suite of offices where sets for RSC’s productions are sketched out on paper. 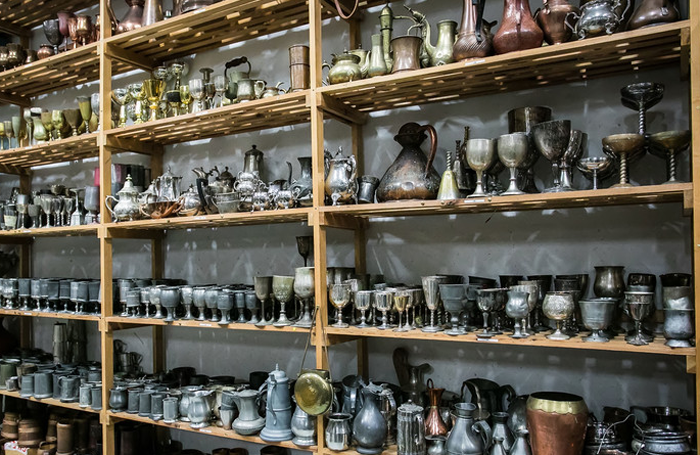 Beyond these are a series of warehouses where those sets are brought to life in wood and metal, and then there is the archive of props stretching back decades. 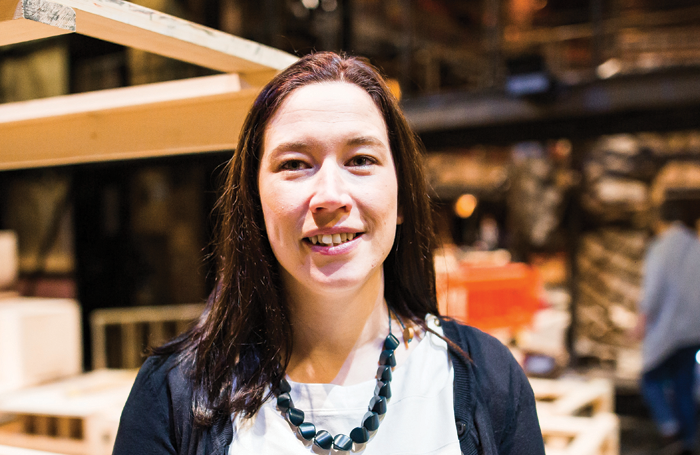 It’s all overseen by Becky Cubitt, the RSC’s head of scenic resources. It’s her responsibility to realise a designer’s vision, and to make sure it arrives on stage on time, intact, and on budget. She heads an in-house team of about 50 dedicated to the task. 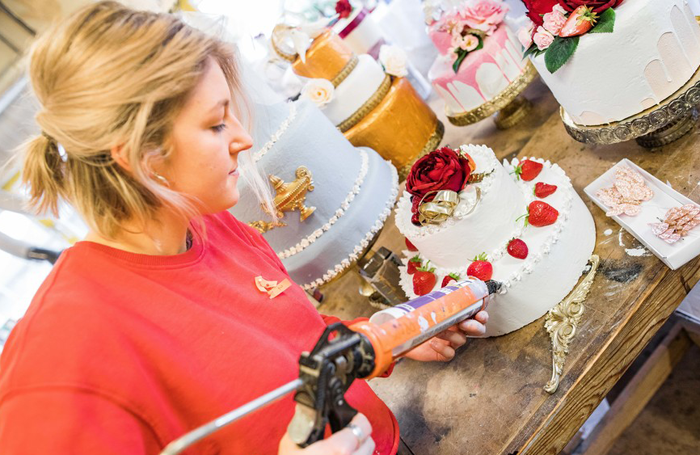 After a BTec in technical design, and a stage management degree at the Royal Welsh College of Speech and Drama, Cubitt began working backstage professionally, first as a freelance, then for companies around South Wales. She joined the RSC in 2015. “I sit on the technical senior production management team, underneath the technical director, and alongside the heads of technical resources, costume, lighting and sound,”she explains. • Laying the prop store shelves side by side, they would stretch from Shakespeare’s birthplace to the theatre itself. • There are 864 chairs, 83 stools, 36 thrones and nine wheelchairs. • The smallest prop is a toothpick, and the largest a life-size horse. • Music can be played on devices from a gramophone to a polyphon, a wireless to a boom box. • There is 100 metres of chain. • There are enough glasses to give all the daily visitors a drink. After artistic director Gregory Doran programmes the season and selects directors and designers, Cubitt is involved straight away. She sits down with a production’s creative team for concept meetings, then works with them to agree on what a show will look like and how it will be constructed. 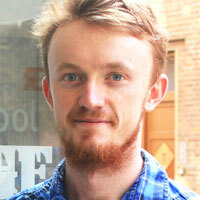 There isn’t much that Cubitt’s team can’t achieve if they put their minds to it. 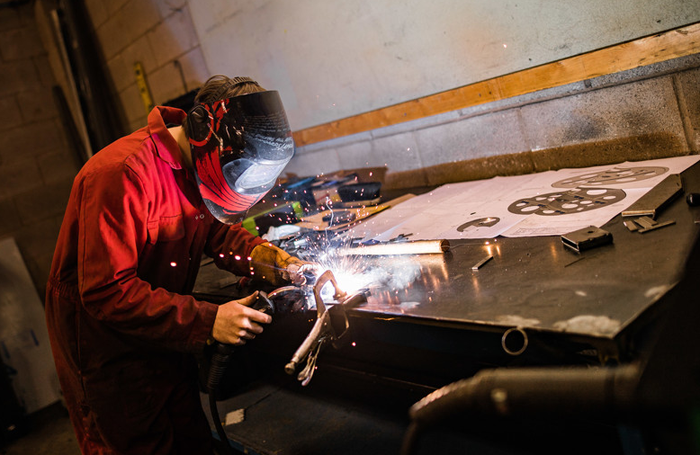 They have the facilities – an engineering workshop, a carpentry workshop and a paint workshop, with millions of pounds’ worth of manufacturing equipment – and, crucially, a team with a wide range of experience. And, because it can almost all be done in-house, the budget for RSC shows is only about a third of what it would be in the commercial sector. The standard approach to creating scenery is to build a metal frame, clad it in wood, then paint it to achieve the desired effect. But at Timothy’s Bridge Road, Cubitt and her team work with a huge variety of materials. For example, the enormous pillars used in Angus Jackson’s Rome season, which looked like heavy stone, were painted polystyrene, as was the striking lion sculpture that accompanied them. A giant puppet god, currently under construction, is made of Varaform, a lightweight thermoplastic. commercially on shows for other production companies. Cubitt also oversees the RSC’s prop department. 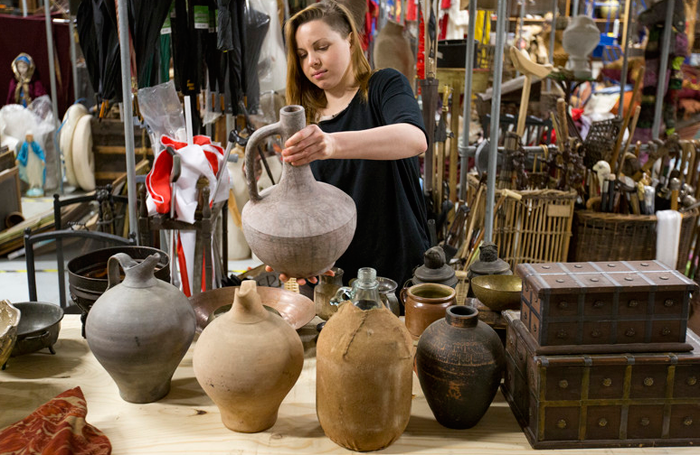 At the back of the building on Timothy’s Bridge Road is an archive of items dating back decades – a wonderland of more than 20,000 props, ranging from a toothpick to a life-size horse. From a silicon copy of Robert McCabe’s decapitated head – from when he played Cicero in Imperium – to a full-size polyphon music box, which Cubitt and her team made from scratch. There are enough walking sticks and umbrellas for every Shakespeare character and enough books to give every audience member in the Royal Shakespeare Theatre something to read at the interval.